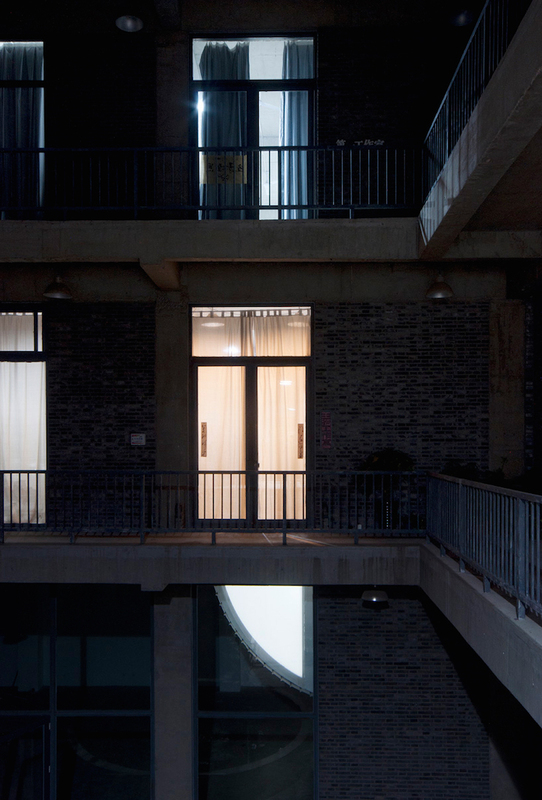 Check out Generator by Czech sculptor Jiří Příhoda — an interior chamber that turns dead space into a multi-purpose area at the Czech China Contemporary Art Museum in Beijing. 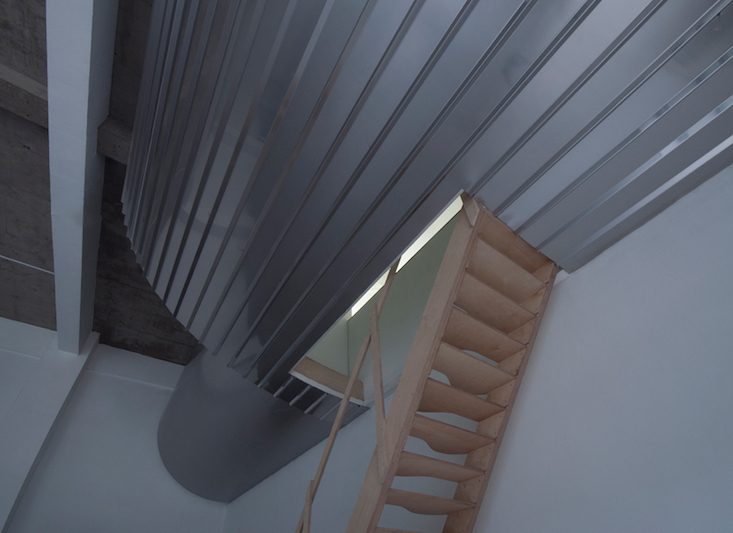 Příhoda, a sculptor who treads the line between object and architecture, was invited by Zdeněk Sklenář (owner of the Zdeněk Sklenář Gallery within the CCCAM) in 2014 to create an interior structure that could be used as a base for a two-month artistic residency, providing space both for studying and sleeping, and for the cultivation of creative ideas. 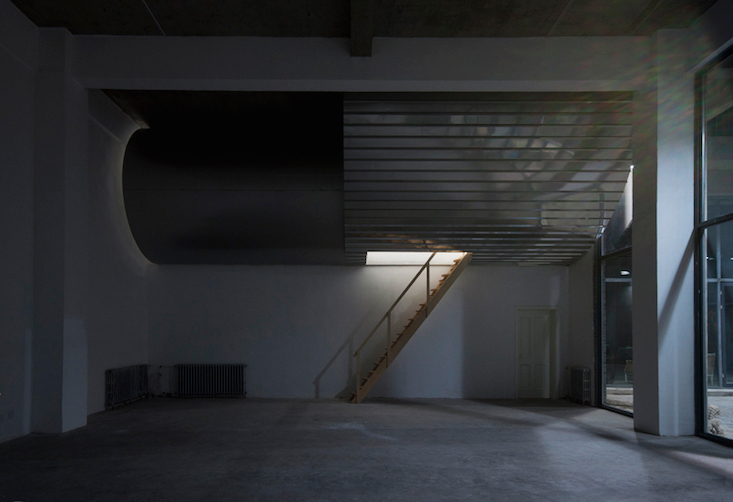 The sky-lab now sits in the corner between the studio's ceiling and an indent in the wall. 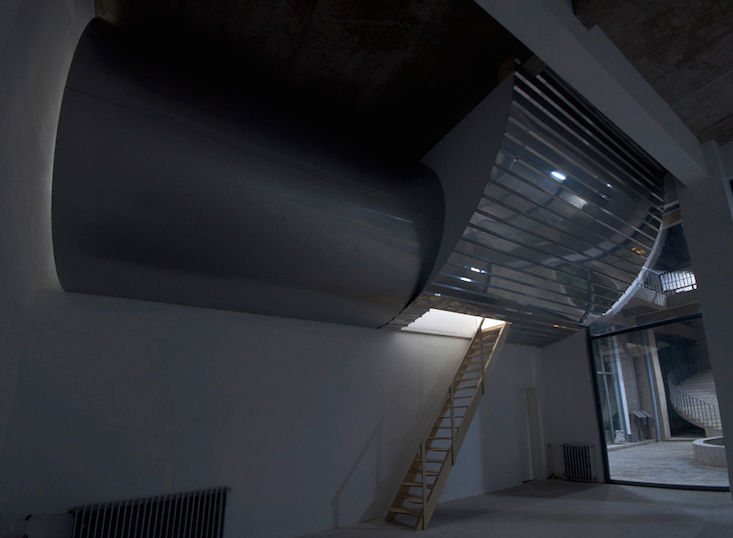 Made from stainless steel, plywood, styrofoam, drywall and anti-corrosive corrugated metal sheets, the chamber is suspended three metres above the floor of the studio and is split into two sections: an area for sleeping that takes a near cylindrical shape, and a half-cylinder living space. 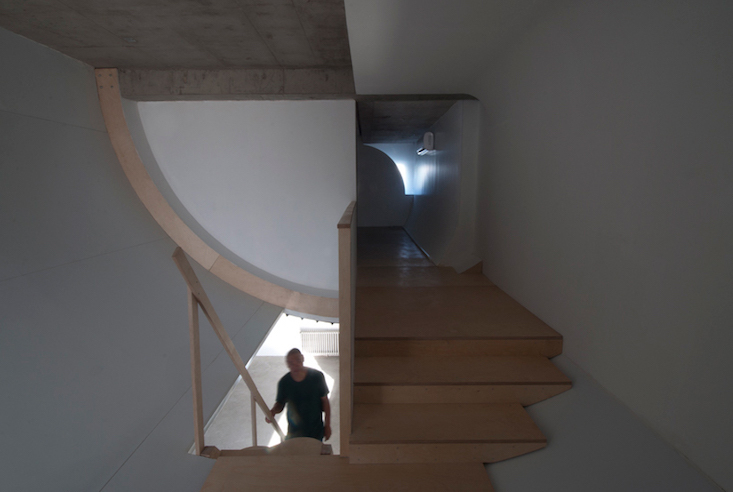 Access is easy, with a wooden staircase descending from the structure into the gallery beneath. In its creation of a functional structure from a formerly dead space, Generator forms a potential solution to a lack of studio space for artists around the world, with affordable studio space becoming increasingly rare.